A special focus of Bio-Farm visits is on the positive impact on the integration of refugee kids and youth. 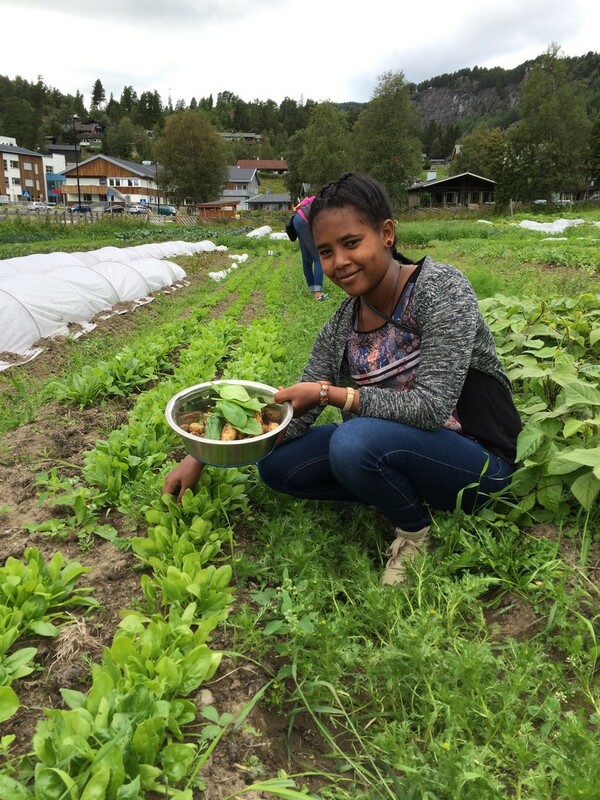 In the Study “How do Children and Youth learn through Farm-School Cooperation?” Linda Jolly and Erling Krogh from the Norwegian University of Life Sciences analyzes the benefits of farm visits in Norway, where several farm and school projects are working with visits of refugees. Their experiences show a lot of benefits for the integration of refugee youth. On farms where the farmers open their farm and become engaged in working with children and youngsters, refugee children can find an opportunity to rediscover some familiar elements from their mother country and perhaps demonstrate their skills and knowledge. The work tasks on the farm provide an opportunity to be seen in another way, to make contact in spite of language barriers, but also to achieve language skills. Just as the practical work inspires youngsters to write and tell about what they have done on the farm in their mother tongue, the refugee children also want to communicate in the language of the country they have come to. Learning words through sensory experience and achieving visible results is an important stimulus for language training. Some of the young refugees, especially those who come alone without their families, have never been to school. Not only the language, but the whole idea of learning sitting still on a school bench, is foreign for them. There are examples of projects with farm work where the chance to contribute in a meaningful and visible way serves as a bridge to a new country and a new way of life. The fact that the farm might provide a sense of recognizability from the home country might also stir up difficult emotions of longing. Furthermore, it might be difficult to communicate due to language barriers and difference in cultural backgrounds, which might lead to misunderstandings. Therefore, it is important that the staff is capable of handling such issues and it is often a good solution to cooperate with relevant NGO's or others who have experience with the target group. The organic farm sector offers a lot of low skill working opportunities. This growing economic branch that needs motivated young people - drivers for the box delivery services, salesman, cooks, bakers etc. are needed to run the farm. Farm visits that show the different working opportunities on the farm can be the first incentive for youth refugees to think about organic farms as a working place.